This is the Epic Seven Tier List – Global version. The list is based mostly on the analysis and experiences of players in Epic Seven Discord community. Please do not take this list as absolute when playing. 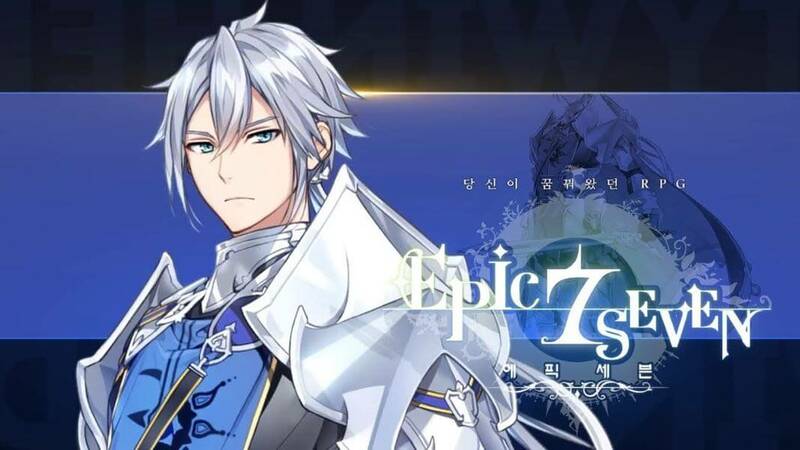 You can use the information from this Epic Seven tier list – Global to set up your desired team for the best experience when playing Epic Seven. Also, there is Epic Seven tier list from Korean players who have been playing Epic Seven for a few months in Korea before this global release. The rating can be somewhat different between the two tier lists (but not too much), except for some rare cases or nerfed characters. You can check the links below. This Epic Seven tier list – Global will also be useful when you want to reroll for a good team in the beginning. This tier list will be constantly updating to match with the current situation of the game. Please do note that: do not play with all depends on the tier list. You can check the original Epic Seven tier list in the additional resources section. And, remember: Play with what makes you feel good. 🙂 That’s the best! Roles explanation: click to go. Azalea 3-stars Fire D D D D D Ranon's Memorandum El's Fist Debuffer Long cooldowns, low speed, but decent hp. Debuff suite aren't as impactful as other units and when allowed to be manipulated on defense, can be very underwhelming. Lorina 3-stars Dark D D D D D Uberius's Tooth El's Fist ST DPS Can still be brought to arena due to the power of her S3. Seek to specialty change her. Azalea 3-stars Fire C D D D C Ranon's Memorandum Debuffer Has high proc rate debuffs (speed debuff, heal ban, taunt) and has max hp based self heal on 1s. Budget heal ban choice. Adlay 3-stars Earth D D D D D Abyssal Crown Kal'adra Support 75% chance (mola'd) to increase enemy CDs by 1 on S3 is powerful. S2 pushes his own CR often and a stun on S1 makes for a decent PvP kit. Held back by average multipliers on skills and average attack stat. Celestial Mercedes 4-stars Dark A B A B B Tagehel's Ancient Book Kal'adra AoE DPS S2 scales dmg with enemy hp, S3 is a strong aoe that gives her readiness as well as a two turn attk buff. These together make her strong in cleave compositions. Hurado 3-stars Dark B A B A A Sira-Ren Iela Violin Support Cuts healing and his S2 can break up buff setups due to self CR push. S3 dispelling buffs is his main use and is pretty strong to counter Diene + Carmin + Maid Chloe + other units that rely on key buffs to operate. Jena 3-stars Ice D D D D D Sira-Ren Tagehel's Ancient Book Debuffer If you need a blue AoE mage to carry Sira-Ren, Jena could be a consideration. Hit down, attack down, and speed down are good for stopping damage, but the rest of your team better have a good use for that as she doesn't do much else. Mercedes 4-stars Fire D D D D D Sira-Ren AoE DPS Ok AoE, but on long cooldowns and multipliers are not the best. As far as free units go, Serila would be a better choice overall. Pearlhorizon 3-stars Earth D D D D D Tagehel's Ancient Book Debuffer An average damage dealer with some AoE and several debuffs. Her S3 has a 100% chance stun for 1 turn, which also does 20% max HP damage to one sleeping target. 112 base speed is nice and can fit a niche for some teams. Celestial Mercedes 4-stars Dark B C C B B Etica's Scepter Kal'adra AoE DPS S2 scales dmg with enemy hp makes her viable in hunts, s3 is a strong aoe that gives her readiness as well as a two turn attk buff, easily farmed formation bonus as well for party c.chance. Mercedes 4-stars Fire D D D D D Sira-Ren AoE DPS A starter unit with meh multi, not recommended. Pearlhorizon 3-stars Earth D D D D D Sira-Ren Debuffer An average damage dealer with some AoE and several debuffs. Her S3 has a 100% chance stun for 1 turn, which also does 20% max HP damage to one sleeping target, but since most bosses don't sleep would be difficult to execute. Assassin Coli 4-stars Dark A A A A A Dust Devil Rhianna & Luciella ST DPS Has one of the highest base speeds in the game and a great multiplier on S3. Easily can secure the 1st turn and stun a valuable target while remaining in stealth for most of the match. Blood Blade Karin 4-stars Dark B B B B B Wind Rider Dust Devil DPS High base hp and can deal a ton of damage when on low hp. What she lacks in debuffs she makes up for in damage and sustain. Coli 4-stars Ice C C C C C Rhianna & Luciella Dust Devil ST DPS Thief focused on shutting down 1 unit through stuns and CR reduction. Perma-stealth gives her a lot of survivability, but 111 base speed means a much harder time to secure the 1st turn compared to her ML counterpart. Aither 3-stars Ice D D D D D Rod of Amaryllis Wondrous Potion Vial Healer The baseline healer. If you have no healer to turn to, then time to call up Aither. Mixed attack and HP scaling usually means he is very squishy. Coupled with 4248 base hp, he is tough to keep alive. Shooting Star Achates 4-stars Dark B A+ B A+ A Wondrous Potion Vial Magaraha's Tome Healer Revive healer that brings the target back low but with immortality. More susceptible to dispel, but her healing circumvents cannot be healed and usually heals for full hp. Aither 3-stars Ice D B D C C Rod of Amaryllis Wondrous Potion Vial Healer Decent Ice healer. Celeste 3-stars Light A B A B A Otherworldly Machinery Exorcist's Tonfa AoE DPS Top speed in the game. S2 is used to push back CR and try to secure the 1st turn. If untouched can constantly pushback slower enemy teams due to her high speed. Wanda 3-stars Dark C D C D C Rosa Hargana Infinity Basket Debuffer 109 speed with a high damage nuke that stuns for 2 turns. Applies target debuff each turn to a random character for your team to nuke down. But randomness of her target debuff holds her back. Watcher Schuri 4-stars Light S+ A S+ S S Exorcist's Tonfa ST DPS A top attacker to one-shot anyone. Pairs well with characters who can boost crit chance, such as Tywin, to save more stats for the 141% def penetrating shot, also Iseria to reset his S3 cooldown. Celeste 3-stars Light C D D C C Otherworldly Machinery Exorcist's Tonfa AoE DPS 128 speed, easy spammale AoE attacks. Also a decent farmer if invested heavily. Otherworldy Machinery is only available in KR. Wanda 3-stars Dark B D D D D Rosa Hargana Infinity Basket Debuffer Can be used at Wyvern 10 as a stable debuff provider and dual atker. Main Roles When building a team you aim for a specific combination of roles we have classified the characters within 4 major roles for you to have an easier time when team building. Obviously at the end the one who chooses is you. DD The main damage dealer of your party. subDD Another damage dealer which mainly focus on helping your main DD to deal even more damage. Tank The frontline of your team, takes majority of the dmg, can dish some back. Healer It's the one who keeps your team alive by healing, buffing or reviving. DOT has damage over time, DOTS are strong as they can stack constantly. AOE Full party attack skill, Strong in pvp. Burst Massive single target damage. Debuffer Has some form of debuff like def down attk increase, silence,etc. CC Has either stun or CD increase on a skill controlling enemys skill usage in arena. Shielder Providing shields as absortion damage. Leech It's able to heal himself. Parry Able to block damage incoming from attacks. You had Ken at C-Tier before his buff and now he just got HUGE buffs that make him a very, very good unit and he’s still in the exact same position? Then Armin who you had listed as a S tier tank prior is now lowered despite no changes happening to her at all? I think the ranking is generally trying to match with new content 🙂 Armin is good from the beginning, but as of now, she is pushed a bit back. For Ken, in fact he is better now (but not too good, though), his overall performance can shoot up to almost 1 tier. So, I think it will be a bit more reasonable to be around C+ tier.